Mobile Apps are no longer standalone platforms – it’s not acceptable to develop a mobile app just for the sake of having it. They are now integrated into comprehensive mobile app strategies. Many companies are re-arranging their marketing budgets to meet the growing demand of this branch of digital marketing. Mobile’s tremendous popularity is continually rising. At the moment users can download around 2.8 million mobile apps from Google Play Store alone. If you don’t want to be ousted from this growing market, you should reassess how you sell your app. In the past, companies outsourced mobile developers or built the apps internally with their resources. Then the product was promoted through classic marketing methods: the user-base was not increasing. Nowadays, mobile marketing is the new battlefield for companies big and small. Businesses are investing in the aggressive promotion of their applications. 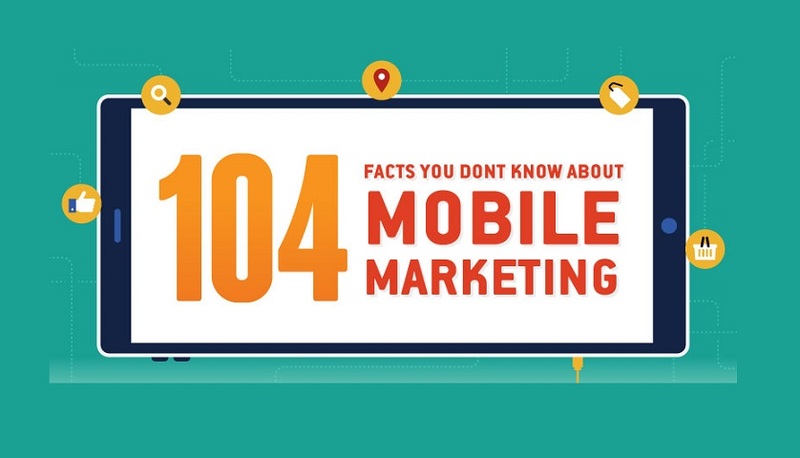 If you are ready to take a step forward and invest in mobile app marketing, you should check out following Infographic developed by team Website Builder. Become more aware of the big brand strategies and take your mobile app marketing to a brand new level. If you are a creative retailer, bear in mind that mobile app marketing requires a unique approach. We have also prepared the Top 5 Best Mobile App Marketing Tips to improve your strategy to get great results. Although you are familiar with velocity and revenue, you will have a new range of concerns while setting KPI’s for app marketing. These include such factors as user acquisition, optimization and rankings of the app store, cost per download and so on. Define your primary and secondary goals, and assign the process of the app marketing analysis to the dedicated team if needed. Don’t undervalue mobile app marketing by committing a small budget to this tactic. 80% of the consumers enjoy receiving location-based notifications, so it’s reasonable to allocate resources to push notifications and geo-fencing strategies. Maintain the visibility of your application in the market by scheduling ongoing promotions and ads. Mobile app commerce is challenging, even for modern digital marketers. If you are not well versed in the challenges, such as app usage analytics and targeted media buying, you should partner your marketing team with an M-Commerce provider. Yes, it will require some resources, but you will be satisfied with the results. You can’t measure the success of app marketing with traditional marketing criteria. There are a few reasons for this. Mobile marketing is always developing, and the trends are changing. What is popular today might no longer work tomorrow. Compare the old with the new, search for new techniques and apply them to the existing scheme. Reviews are critical when it comes to mobile app marketing. Stats have shown that 80% of the consumers are checking customer feedback before making a purchasing decision. Therefore, look for application review websites and ask for honest opinions about your products.